Green Party candidate for governor Paul Glover plans to establish the Green Labor Administration (GLAD) to add 500,000 jobs while repairing the environment, without raising taxes. Glover is founder of more than a dozen organizations and campaigns promoting green jobs. He is author of the books "Green Jobs Philly," and "Deep Green Jobs." 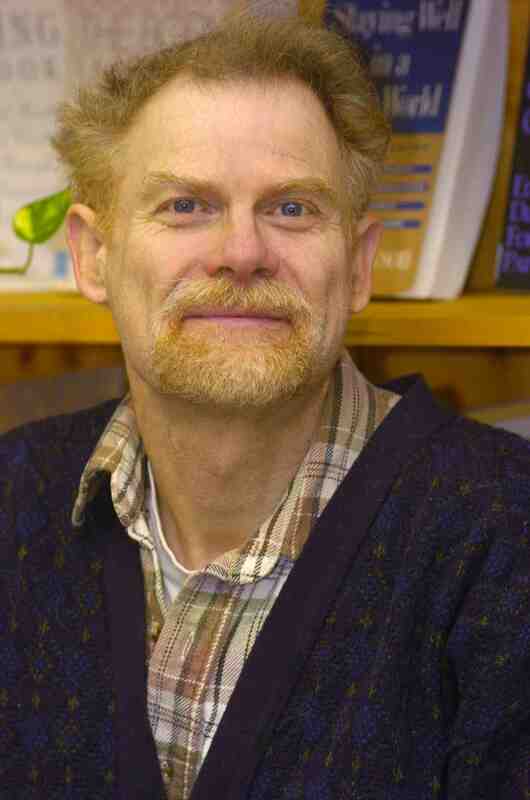 He taught urban studies and green jobs at Temple University, then taught ecological economics at Philadelphia University.
" The challenges facing our state are so huge that bold action is essential," says Glover . " An increasing proportion of Pennsylvanians face ever-higher costs of living and stagnant income . GLAD enables us to spread the good life." GLAD proposes to save more money than it spends, says Glover. "When Pennsylvania has 500,000 additional jobs focused on cleaning our water and air, cooling and warming our homes without fossil fuels , installing solar and wind energy, expanding organic agriculture, extending transit , and teaching related skills, then the costs of health care reduce, the costs of utilities reduce, and lives are easier." Likewise, " When there are 500,000 additional jobs there will be less crime, because jobs fight crime better than cops do," said Glover. "As crime decreases, the costs of courts, police, and prison decrease. The money saved feeds further green job creation." Noting that 65% of adult Pennsylvanians have no college degree, Glover says we should focus more on entry-level work. " We need not just STEM jobs but 'stem' jobs-- solar , turf, energy efficiency , and manufacture . These basic skills will stimulate new enterprise." During the Great Depression the federal government employed eight million Americans to plant forests and build hydroelectric dams. The Works Progress Administration (WPA) restarted the economy while repairing the environment. " Franklin Roosevelt saved capital by saving labor," says Glover. Glover describes GLAD as an independent Authority, a green switchboard which makes green action swifter and easier. "GLAD is entrepreneurial insofar as it incubates green businesses and organizations, while drafting legislation to open new doors. GLAD is nongovernmental so that it can propose boldest notions and cross political boundaries." He emphasizes, "The greening of Pennsylvania, and our lives, requires coordinated actions by businesses, government, financiers, churches, colleges, schools, nonprofit groups, and each of us personally. Here's how we prove we are a commonwealth rather than a corporate colony." Green jobs will be phased in, to enable a smooth transition of the job base. The GLAD mission is twofold. First, employ the greatest number Pennsylvanians to prepare this state to thrive with less fuel. Most urgent needs are heating and eating.
" Planting orchards and gardens in cities, and building greenhouses, so neighborhoods feed themselves. Expanding regional organic agriculture.
" Installing deep insulation and superwindows to reduce heating loads while cleaning water and air. Building solar cottages and earthships, to cut utility bills.
" Depaving vacant parking lots to reduce heat island cooling costs. Installing green/white roofs to reduce cooling loads. Medical Insurance is a Cruel Industry. Here's how to end it.